Breathtaking views may be seen around every corner of Oahu but they’re taken to new heights—literally—on the trail to Makapu’u Lighthouse. Located roughly a mile past Hawaii Kai golf course, the relatively short trek—as in 1.5 miles roundtrip—pays off long into one’s existence. The lighthouse itself, built in 1909, is enchanting on its own, but it’s the vistas the summit presents that makes this hike memorable and magnificent: From the top you can look out upon the island’s southeastern coast, the interior of Koko Crater, Oahu’s outlying islands, Makapu’u Beach (stretching towards the North Shore), and wave upon wave breaking against the outstanding seaboard. 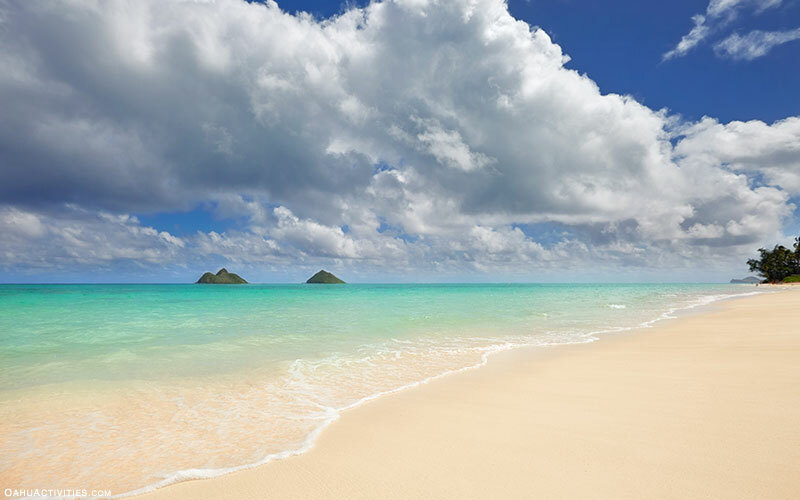 Nestled on Oahu’s striking windward side, Lanikai Beach lives up to its name of “heavenly sea” with its half-mile stretch of spotless white sand, crystalline water, and proximity to “The Mokes”—two islets less than a mile offshore. Lanikai’s reputation as one of the best beaches in the world is evidenced in the huge crowds it draws to its sun-splashed cove, where an offshore reef translates to calm waters perfect for swimming and small children. Land, ocean—sky? On Oahu: oh yes. 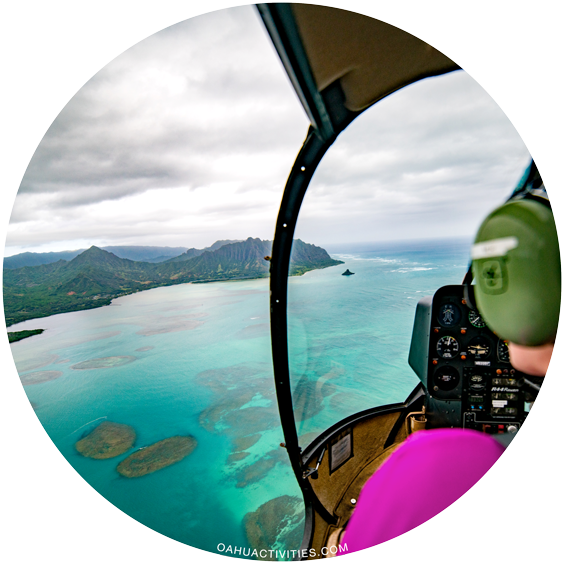 One of the only islands in the Hawaiian chain to offer the chance to drop from a height of 14,000 feet, Oahu is a thrill-seeker’s utopia, what with its views of the rugged coastline, verdant cliffs, and turquoise waters. Skydive Hawaii, Hawaii’s oldest and largest skydiving company (and arguably the most lauded), supplies solo and tandem jumps over Dillingham Airfield on the picturesque North Shore—a place so impressive it’s been called the World’s Most Beautiful Drop Zone. A terrific choice for first-time jumpers, Skydive Hawaii provides the kind of stoke that persists for decades. Tucked into the world-renowned Royal Hawaiian in the heart of Waikiki, The Abhasa Spa—which roughly translates to “illusion” in Sanskrit—was recently named the second best spa in the US. And for good cause: While it may be in the center of the buzzy tourist outpost, Abhasa’s tropical garden and airy cabanas practically demand serenity. Treatments range from Hawaiian favorites like lomilomi and Pohaku (hot stone) massage to after-sun skin drenches and decadent facials. Its historic setting—complete with drifting scents of jasmine, lavender, and coconut—adds to its overall charm. The nearby Manoa Falls may capture the interest of most, but this botanical garden—and part of the University of Hawai‘i—is equally deserving of your time and energy. Established in 1918 as a test site for reforestation, much of its pull comes from the fact that it strives to preserve the Aloha State’s threatened and endangered plant species. More than 5,000 of them grow over 194 lush and lovely acres here, from African herbs and gingers to bromeliads and pink azaleas. With hiking trails and a variety of tours, the arboretum offers a huge dose of tranquility—and the wellness that often arrives with it. Established in 1947, this 42-acre exhibit has gone through several iterations since its first Park Director, Ben Hollinger, brought a monkey, bear, and African elephant to Oahu for the “children of Hawaii.” Today, Honolulu Zoo presents three distinct displays to reveal American and Asian tropical rainforests, the African savannah, and the Pacific Islands—an endeavor that results in animals that range from the native pueo and cheetahs to hippos and Nile crocodiles. 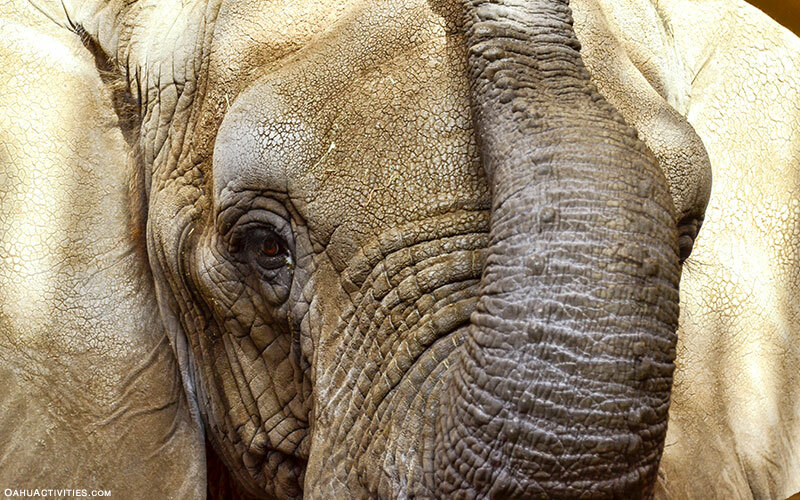 With open-air enclosures, a petting zoo, and more than 64 reptiles, this cornucopia of wildlife—and the first US zoo to be started under a monarch—deserves every ounce of its reputation as the best family activity on Oahu. It’s one thing to unexpectedly encounter a shark while paddle boarding in peace; it’s yet another to actively seek out sharks to interact with them safely. 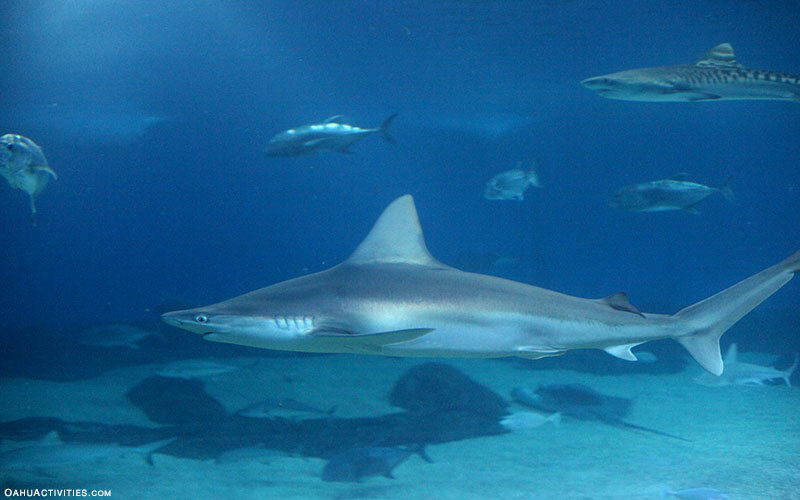 The Pelagic Shark Dive Tour offers the latter, taking guests out into the deep blue to witness the exquisiteness of sharks that range from scalloped hammerheads to Galapagos and sandbar sharks. Family owned and based in Haleiwa, this spellbinding tour includes skills that have been passed through generations—and will surely instill memories, and thrills, that’ll last a lifetime. Waikiki may receive the lion’s share of visitors’ love, but Downtown Honolulu underscores why it’s often considered one of the most exciting cities in the world. 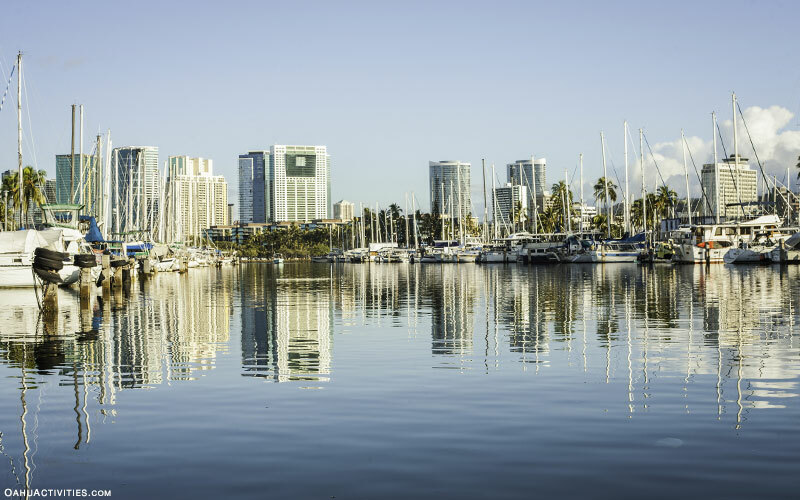 Steeped in history, abuzz with budding entrepreneurs and artists, serving as Oahu’s commercial and government seat—and wonderfully multicultural—this vibrant neighborhood boasts everything from some of Hawaii’s tastiest dim sum to a 13.5-acre botanical haven. Options for fun teem about, but some of our leading picks include shopping in Chinatown, heading to the top of the historic Aloha Tower, and kicking back with an E H’oo Pau Mai Tai at the remarkable Bar Leather Apron. Hawaii may be the most isolated populous archipelago in the world but in the early 19th century it was considered to possess the grandest palace on the globe. Now, visitors can get an intimate look into its hallowed walls—and receive a reminder of Hawaii’s enduring independence—on tours that will take them through ‘Iolani’ Palace’s inception during King Kamehameha III’s reign to Queen Lili’uokalani’s imprisonment during the overthrow of the Hawaiian monarchy. In addition to seeing the American Florentine style that pervades the 10-room historic house—complete with gleaming koa wood floors and elaborate decorations—guests have the chance to tour the palace’s grounds, including The Royal Tomb, which was once used to house the remains of Hawaiian royalty. 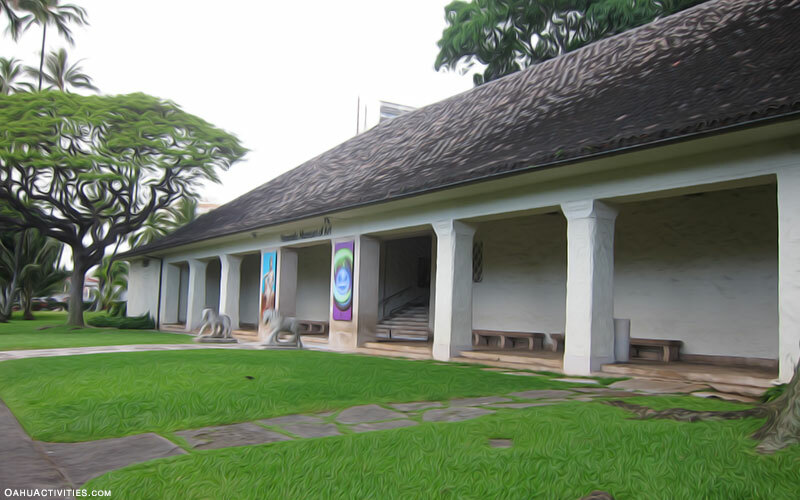 Founded in 1927 and presenting more than 50,000 works spanning 5,000 years, the Honolulu Museum of Art earns every bit of its acclaim as one of the most imposing exhibition halls in the States. Galleries within the museum range from one of the biggest Pan-Pacific collections in America to a contemporary center that features its founders’ private compilation and work by local artists. Their Tour + Talk Story is particularly appealing with its combination of gallery explorations and docent-led discussions about craft, culture, and history. Layson Albatrosses, wedge-tailed shearwaters, and Hawaiian Monk Seals are just a few of the rare species that can be found at this Natural Reserve on Oahu’s westernmost point. Reaching this jewel requires footing it, with two trails—one from the east, the other from the southwest—that take you through hot, sometimes hazardous terrain. 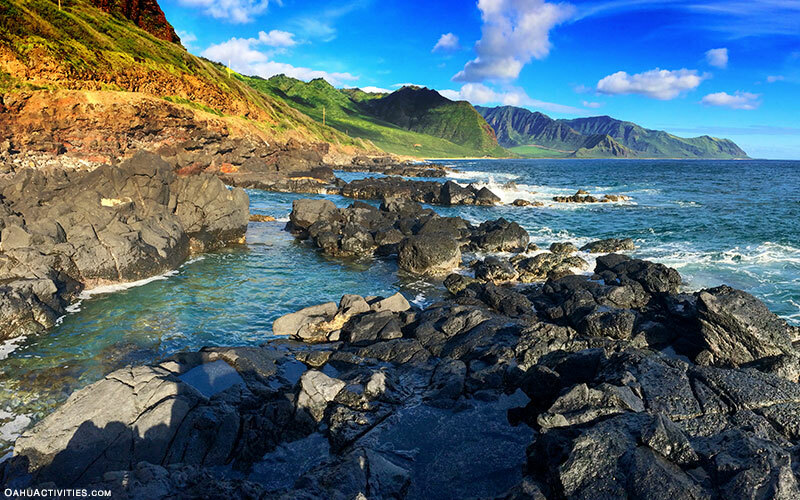 But the effort is well worth it: Not only can quietude be found here in spades, but tide pools, extraordinary views, and the pounding Pacific explain why this site was deemed sacred by ancient Hawaiians—so much so, in fact, it served as a jumping off point for souls entering the next realm. 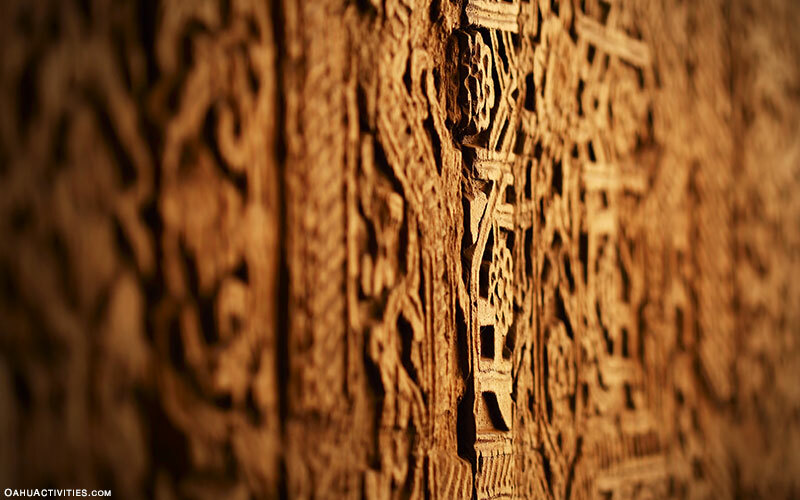 Polynesia’s breadth stretches far and wide, from New Zealand in the southwestern-most part of the South Pacific to Tahiti in French Polynesia. Oahu’s Polynesian Cultural Center—a theme park and “living museum” that’s regularly voted the #1 paid attraction in Hawaii—pays homage to six of the major island cultures that make up this region, showcasing everything from Samoan fire knife dancing and Maorian warrior dances to Tongan shuffleboard and the quintessential Hawaiian luau. Spending a day among its exhibits is both entertaining and informative, while its acclaimed night show, Ha: The Breath of Life, will remind you of the world’s endless intrigue—and Oahu’s boundless magic. While Pearl Harbor’s crown jewel, the USS Arizona Memorial, has closed indefinitely due to structural problems, its visitor center remains open to the public. As the #1 attraction in the state, it allows guests to pay respect to the 1,777 servicemen who perished at the site when it was attacked on December 7, 1941—and commenced the United States’ involvement in the second World War. Opportunities abound to learn more about this era’s indelible events, ranging from the USS Bowfin Submarine Museum and Park to the Battleship Missouri Memorial and the Pacific Aviation Museum—a stunning exhibit that showcases the biggest collection of aircraft to have survived the attack. And speaking of food trucks: If you happen to be on Oahu on the last Friday of the month, be sure to make your way to the district of Kaka’ako to sample “grindz” from more than 40 awesome vendors. Founded in 2011 in a parking lot off of Kapiolani Boulevard, Eat the Street now entices more than 7,000 people to its “food truck rally,” where diners can dig into eats that range from fried musubi and gyozas to Brazilian hot cheese bites and Hawaiian honey cones. Keep an eye on their website: This beloved shindig often hosts holiday parties and themed celebrations—and the unique foods that arrive with them. 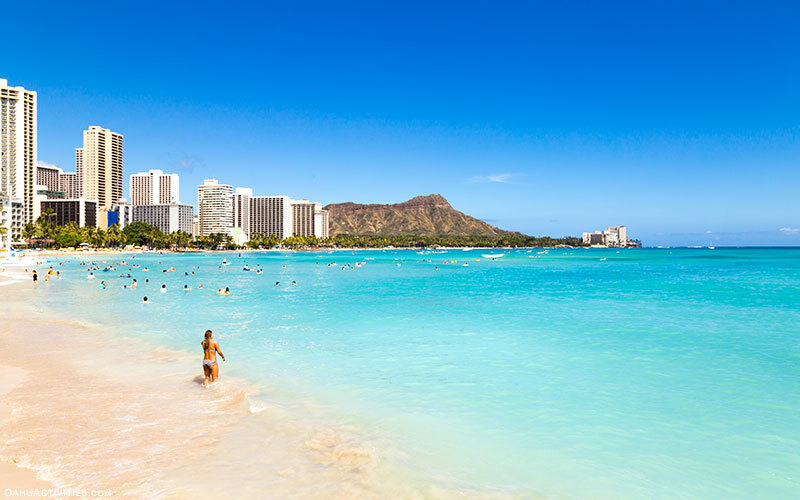 Luminous weather, warm water, gentle waves, lofty palms—it’s no wonder Waikiki Beach is one of the most recognizable shorelines on the planet. With Diamond Head glittering in the distance, surfers, stand-up paddlers, and swimmers playing in the Pacific, and nearly two continuous miles of powdery white sand, this slice of heaven is an Oahu must for a reason. Shed your worries while chilling on a beach blanket in the late morning, take a surf lesson at one of the breaks that introduced the world to modern surfing, snap a selfie with the bronze statue of Duke Kahanamoku, or dip a spoon into Hula Pie at the restaurant that was named after him. Meaning, whatever you do in Waikiki will be tops: This place is what Hawaiian dreams are made of. Often credited as the heart (and start) of Hawaiian Regional Cuisine, Oahu features some of the most extolled restaurants in the state—everything from Chef Mavro’s farm-to-table fare to Pounders’ kiawe-fired brick oven Hawaiian pizzas. But 12th Ave Grill—a breezy café in Honolulu’s Kaimuki district—takes Hawaiian eating to a whole new level with their mouthwatering list of small plates. And Hawaiian dining it is, blending European, American, and Asian flavors with the island’s bounty (think: smoked ahi bruschetta with Hau’ula tomatoes, Hokkaido scallops with house-made pancetta, and Ni’ihau lamb with saffron polenta). Its limited seating (at 14 tables), first-rate bar, and range of desserts—such as guava cheesecake bread pudding—renders a trip to this upscale spot unforgettable. Shopping in Hawaii isn’t exclusively reserved for buying shell necklace souvenirs for your pals back home. Ala Moana is a testament this fact, presenting an array of stores that stretches from the ultra-luxe—Balenciaga and Hermes, to name just two—to the specialized (‘Auana Quilts and Homeo Health). There’s also everything in between, including Hollister, Armani Exchange, Vans, and the only Nordstrom in Hawaii. The maze of shops—as in 200-plus—is enriched by its open-air structure and views of the Pacific, making a trip here a true shopper’s paradise. Hawaii may not be synonymous with nightlife—there’s all those ocean sports and hikes just begging for one’s early-morning attention—but Waikiki sure knows how to party. RumFire epitomizes this fact—and makes the whole experience beautiful at that. Located in the Sheraton Waikiki, the high-end bar, restaurant, and nightclub is an equally excellent choice for chilling out with a craft cocktail at sunset (try their coconut-lavender mojito), gathering with friends for spiked tea and shareable plates, or dancing the night away to the sound-mixes produced by local DJs. With its incredible ocean views, vibrant atmosphere, flaming torches, and live music, it’s no wonder RumFire is frequently believed to be the best nightclub in Hawaii. Spend all of your time in Waikiki—as tempting as it may be—and you’ll miss out on the fact that part of Oahu’s allure rests in its mix of metropolitan and country. 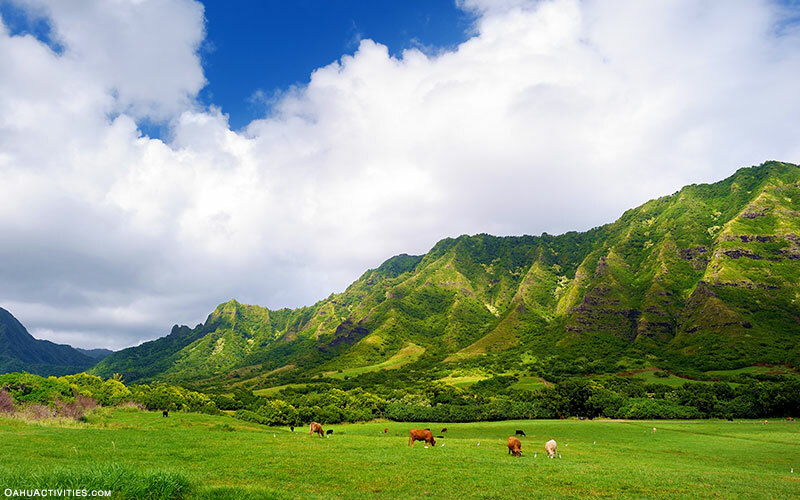 Kualoa Ranch underscores this fact, presenting 4,000 acres of lushness on the windward coast and serving as a working cattle ranch, tourist attraction, and playground. The privately-owned gem offers fun for the whole family, whether it’s ATV Adventure Tours, horseback riding, or ziplining. But the real prize is the radical, verdant beauty it boasts—so potent, in fact, it’s no wonder it’s served as the stage for Jurassic Park and Lost. There’s something so splendid about the glittering Pacific that most visitors to Hawaii are keen on experiencing it in every manner they can. Enter the appeal of kayaking, an accessible sport, aboard a small, narrow watercraft, that requires little more than a paddle, an open mind, a sense of caution, and, well, a smile. While kayaking tours are amply offered across Oahu, one of the most enjoyable ways to partake is by paddling out to those aforementioned “Mokes.” Kailua Sailboards & Kayaks, which has been serving adventurers since 1982, can aid in the planning and execution of this excursion, which includes stellar views of golden-sand beaches, snorkeling, and a grounding down on the Twin Islands—islets that serve as a sanctuary for birds that range from the Red-footed Bobby to the Ruddy Turnstone. Traditionally called Leahi due to its resemblance to a tuna’s brow, the image of Diamond Head has been seared into the memories of kama’aina, visitors—and people from afar—for centuries. Formed over 300,000 years ago, climbing to its peak is to step into its geological and military history. Moreover, the summit trail—0.75 miles filled with switchbacks and an elevation gain of 560 feet—provides trekkers with panoramic views of downtown Honolulu and the famous Waikiki coast. It’s impossible to visit Oahu without being stunned by the radical Pali Cliffs—green, dizzying beauties that scissor across the skies of the island. 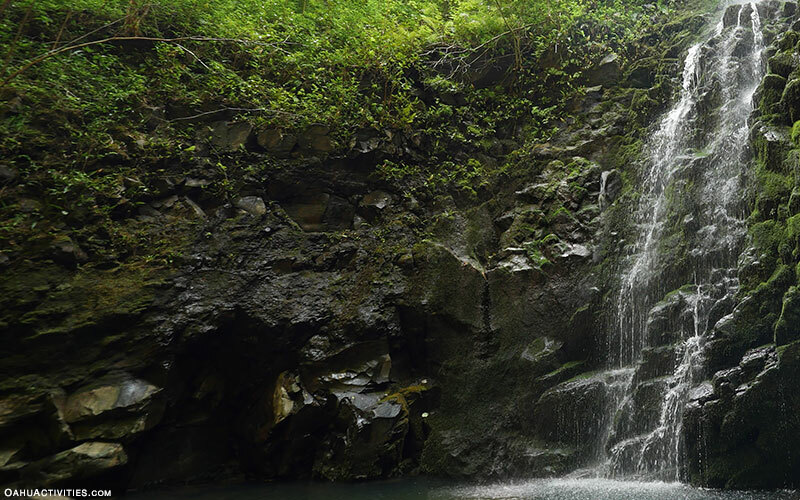 One of the sagest ways to experience their splendor is on the Maunawili Falls Hike, a super-popular (read: busy), three-mile trek that wends its way from Kailua to the falls themselves, complete with a pleasant swimming hole. Rainforest edges against the trailhead, while the dramatic views of Oahu’s luxuriant windward side will inspire you to either pause in awe or break out your camera—or both. Between its cosmopolitan city, fabled beaches, and storied history, Oahu is a veritable goldmine of earthly pleasures. The third largest island in the North Pacific chain has been inspiring everyone from sailors to singers and surfers since Polynesians first landed on its shores in 500 A.D.; today, it’s the most populous—and popular—spot in Hawaii, luring close to 5 million visitors to its shores annually. With its broad range of entertaining activities and natural splendors—from snorkeling under the sun at Hanauma Bay to barhopping under the stars in Waikiki—it’s hardly any wonder. Is there an Oahu activity that we missed? Should your business be on here too? Let us know. Mahalo in advance!